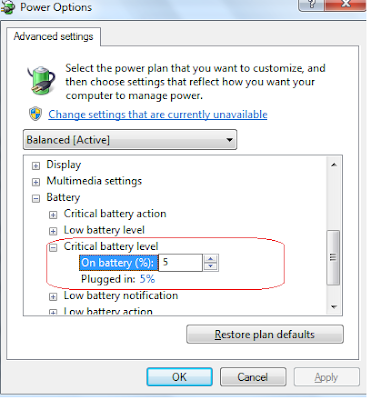 We are familiar with the low battery level alert on our laptops when the charge level reaches a particular limit. This critical level is set by the Operating system by default. If you feel the limit set on your laptop is too low or high, we can change the default value which initiates low battery alerts. Setting low battery level too low may not give you enough time to connect your laptop to power plug before initiating critical level action. Setting high level too will not help you. So it is better to keep the low charge level the optimum in your ease. The second part of this tutorial explains how to create a new power plan with the custom settings. To reduce or increase the default value set, follow the steps below. 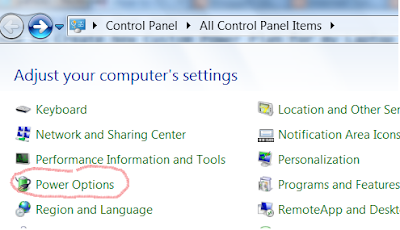 Make sure you set the Control Panel items to view by large icons. 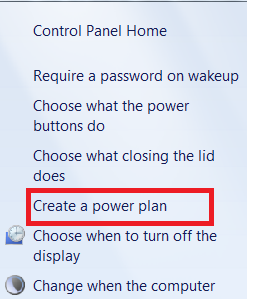 Click on change plan settings near the power plan selected on your laptop. Click on low battery level and select the On Battery(%) by clicking on it. After changing the percentage level here, you must click on apply. 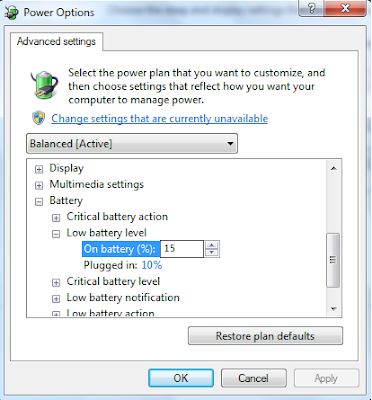 To change the laptop critical charge limit, follow steps 1,2 and 3. Then select critical battery level and change the value set on On Battery(%). When the charge meets the critical limit set on your laptop, critical battery level action initiates. It is important to note that the changes you have made on critical and Low Battery Levels are valid only for the currently selected plan. If you activate any other power plan, you must repeat the same steps on there too. Many users make the mistake of setting the custom changes there and wonder why it is not working. So it is very important to select the currently using power plan. 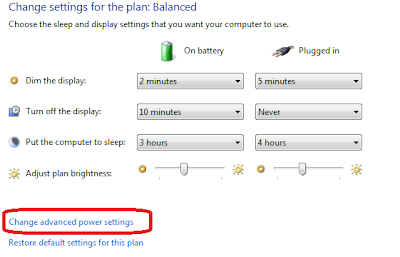 By default, your laptop has three power plans Balanced, high performance and Power Saver. 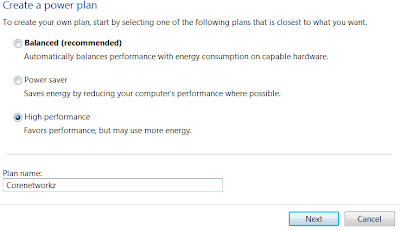 For the optimum performance of your laptop, it is recommended to select Balanced plan. High-performance power plan let your laptop works in best performance but it drains more energy from your laptop battery. However, if you are not in a position to charge your laptop battery soon, it is better to save the maximum possible charge. So Power saver would be the best option for you. 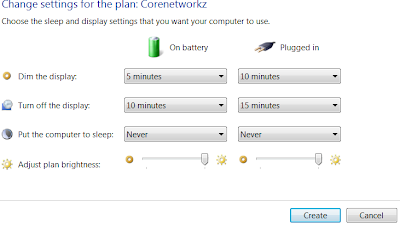 In case if you are not happy with these three default plans, you can create a custom plan for your laptop by your self. While creating your custom energy plan, you can specify the timing of Dim the light, Turn off the display, time to sleep etc according to your criteria. Now you will see an option to pick one of the three options available. After selecting the best-suited option, you should give a name to your custom plan and click on next. Here we can choose the sleep and display settings for the new plan. After choosing the settings click on Create. Now your laptop battery meter automatically selects the new custom preference.